Are the Democrats getting too liberal? The recent polarization of American politics has been far more obvious on the right than the left. The emergence of the tea party movement and its influence in Congress has brought to the fore political values that are more conservative than those of the average voter. But polarization is not a one-way street. While Republicans have become more conservative, Democrats have grown more liberal. 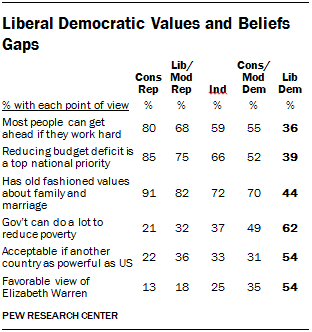 The Pew Research Center’s values surveys, spanning 1987 to 2012, show that Democrats as a whole have moved to the left in recent years. They are much more socially liberal than they were even a decade ago, more supportive of an activist government, more in favor of increased regulation of business.